Last month, PLAYERUNKNOWNN’S BATTLEGROUNDS (PUBG) released a patch with optimizations that improved performance for those running a CPU with six or more CPU cores in their gaming rigs. PUBG uses Unreal Engine 4, which is capable of producing solid image quality, but can be rather taxing on your PC hardware. 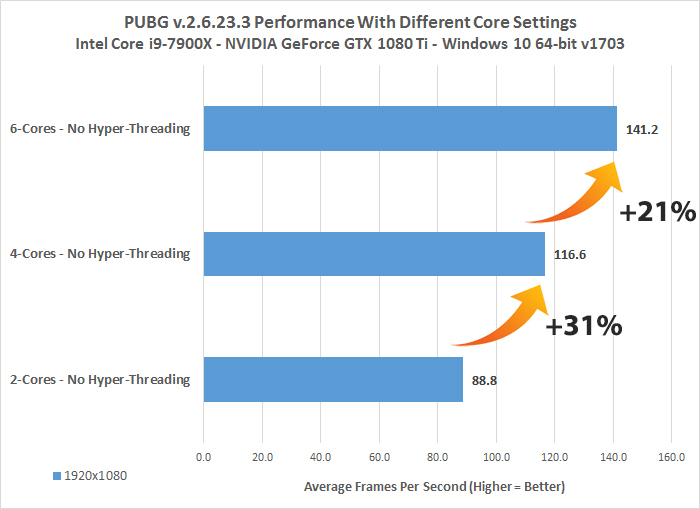 Read on to see how performance changes as we test 2, 4, 6, 8 and 10-core configurations in PUBG!